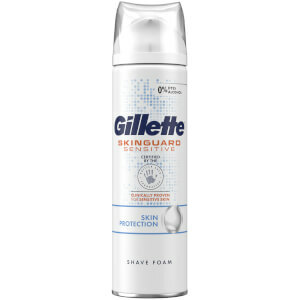 Gillette SkinGuard Sensitive is Gillette's first razor specifically designed for men with sensitive skin and razor bumps. 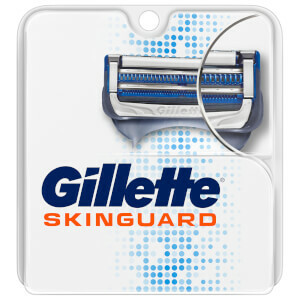 Its unique SkinGuard is positioned between the blades to shave hair and guard skin. It works to minimise tug and pull and cut hair at skin level, preventing irritation and ingrown hairs. Excellent razor, and very comfortable to use when getting ready in the morning. Now I am able to not cut myself while shaving in the morning if I am still half asleep at the wash basin. A brilliant razor which cuts through facial hair at each. Brilliant. 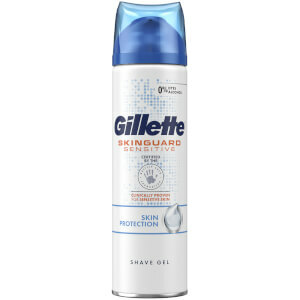 This was a great razor, smooth shave and easy to get into the hard to reach/shave places. The only thing was that the razor became clogged quite easily and didn't give as good a shave the 2nd and 3rd time round. 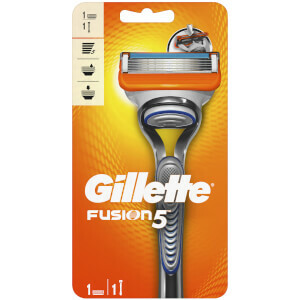 I've transitioned from the Proglide Gillette Fusion Power Razor to this one. The razor feels solid yet much lighter than the proglide and even though it doesn't have the flex ball it does embrace the contours of your face nicely. Combining this razor with a new blade mean you can easily shave from the neck to the cheek bone in one pass.